Beef spring roll with Jamaica is very delicious Khmer appetizer. 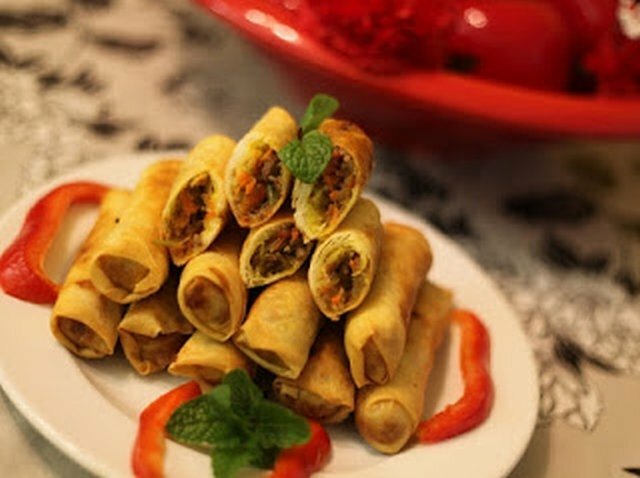 Back home, due to high cost beef, beef spring roll is considering luxury food which usually reserve for special occasion. In a large bowl , mixed grounded beef with garlic, onion and jicima together, add sugar, soy sauce, oyster sauce, fish sauce, corn starch and black pepper, mix well and set it a side. Wrap meat filling in spring roll shell, roll it tight and seal the end with egg white. Continue to make spring roll till filling gone.